I’ve been stuck, although, it’s a nice place to be stuck, on my stand-by recipes — lemon/lime soda. It’s easy to make, and oh so refreshing. Yet, now that I have spoken to, read through Jeremy Butler’s Making Soda at Home: Mastering the Craft of Carbonation: Healthy Recipes You Can Make With or Without a Soda Machine , and spent some time on his blog (which is full of fresh recipes as well,) I am overwhelmed with soda-flavor choices. I can’t decide whether to make the “mock Mountain Dew, (get the book to discover the secret of this flavor) coconut lime, apple pie, or spruce beer. 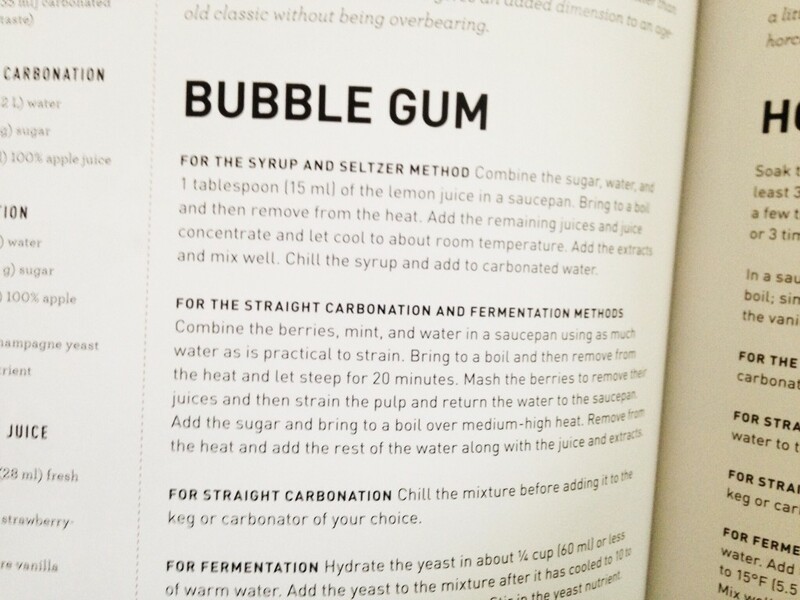 All I know is, looking at those clean crisp bubbles in this lavishly illustrated book is all I needed to get started making some new sodas right away. (I’m saving peppermint candy for Christmas time). Jeremy, a professional food technologist, likes to play with his food. 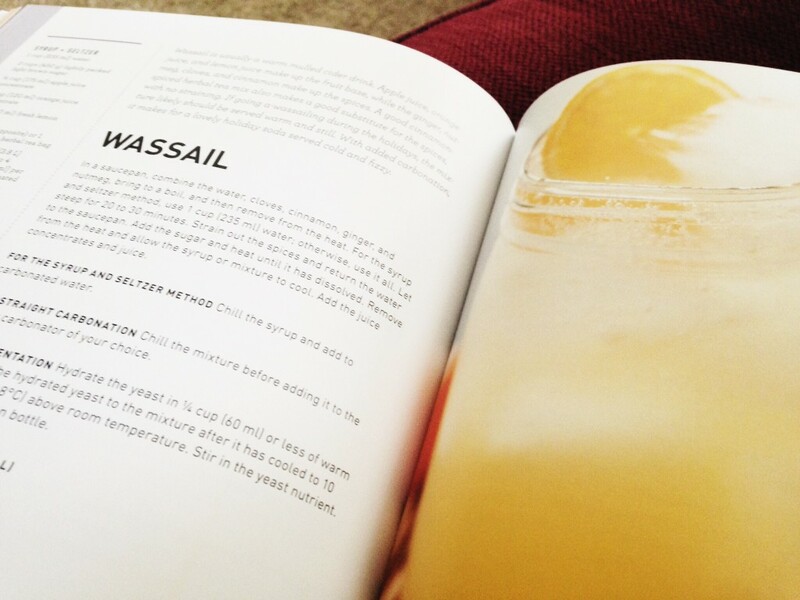 He’s a master at creating soda recipes from traditional non-soda foods, and turning traditional drinks, like Wassail, into soda. 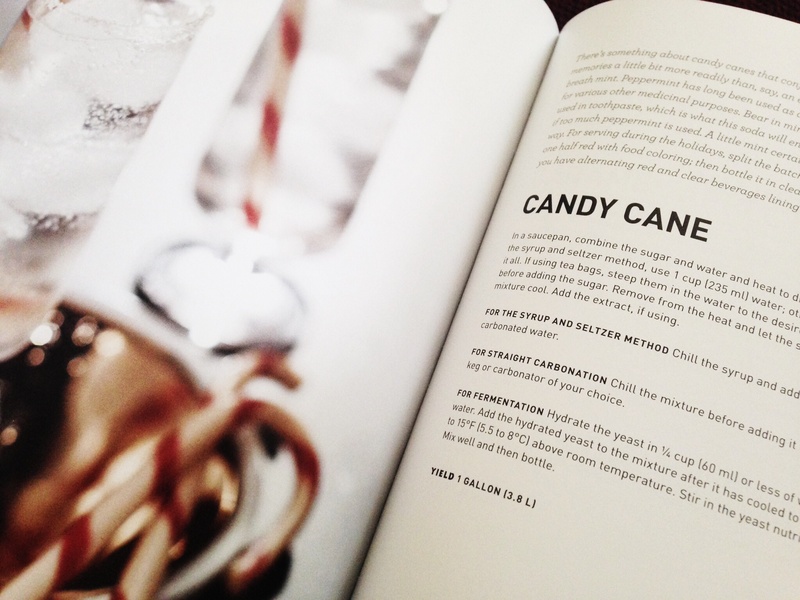 Cupcake, Apple Pie, and Gingerbread are sweets-turned-soda in this soda reference book. Jeremy says his favorite is Coconut-Lime. Talking with Jeremy and reading through his blog will give you clarity and insights to improving the depths of your own soda concoctions. For example, I scribbled a note while talking with him on the phone about letting the water and sugar boil to 240 degrees Fahrenheit before adding the flavors to increase the “sweetness” of the sugar. This has more to do with separating the fructose and other scientific measures. But enough with the study and analysis. 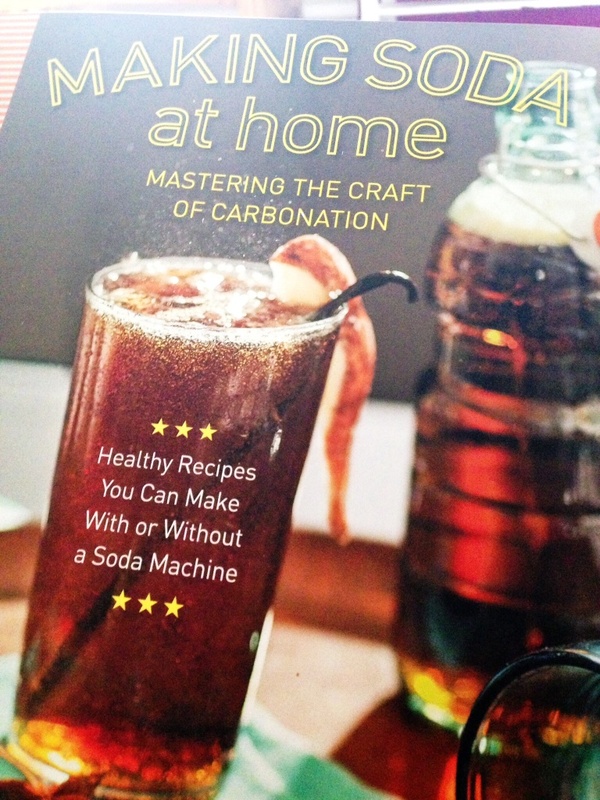 It was time to get started making my first batch of soda using this incredible book. 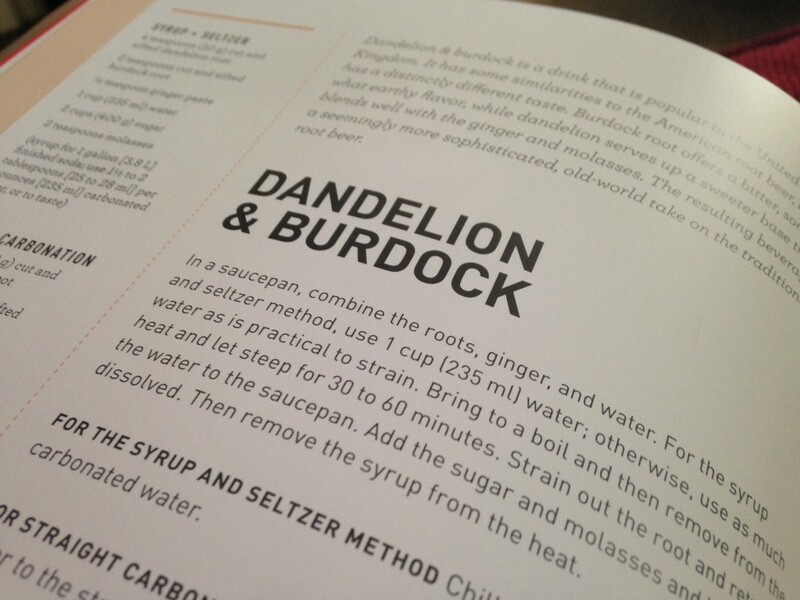 I already drink a combination of dandelion, burdock root and oatstraw tea for stamina. But Burdock root is so bitter I can barely stand it. If Jeremy can concoct a way to make it taste better and more like root beer, I was all in for this experiment. In Making Soda at Home, Jeremy’s recipes include adaptations for fermentation, straight combination or syrup and stelzer. There are no specific instructions for using a “ginger bug” but you can figure it out… just substituting a 1/2 cup ginger bug for every 1/2 gallon of soda and working out the liquid proportions. Jeremy provides ample instruction and direction to help you adapt your own soda making method, and even try a new one. In the spirit of Jeremy Butler himself, I used what herbs I had on hand and didn’t follow his recipe to the letter. 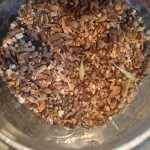 In addition to the burdock and dandelion root, I added oat groats, and nettle to the brew. This sweeteners included a combination of white and brown sugars along with blackstrap molasses. I left the brew ferment with my ginger bug, and was pleasantly shocked to find that this mixture of herbs did take reminiscently of root beer.Jeremy also includes chapters on the science of soda, storing soda, and different equipment you’ll need to make large batches of soda. 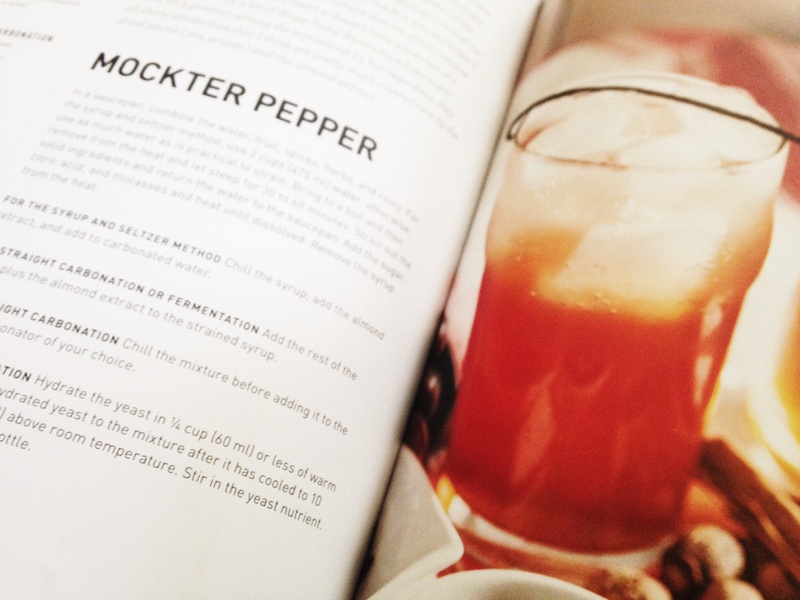 This is not the last soda recipe I’ll be posting from Jeremy’s new book.